Kim Tokar grew up in Southampton, PA before moving to Yardley. She holds dual Bachelor degrees in Finance and Marketing from LaSalle University in Philadelphia. After graduation Kim worked in outside sales for the pharmaceutical industry. Since 1987 she has personally purchased and renovated rental property and several of her own homes. It was a natural fit for her to help others buy, sell and invest in real estate. She formally made the switch to full time real estate sales in 2004. Using her previous experiences in marketing, financing, and investing she quickly found a loyal client customer base and excelled. In 2008 she partnered with Joel Gruenke and her business kept expanding. 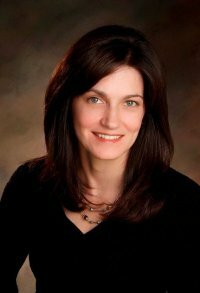 By 2009 The Kim Tokar Team was the top producer at Long & Foster Real Estate in Yardley, PA.
Today Kim is an owner in the Keller Williams Real Estate office in Langhorne. The Kim Tokar Team has expanded to include five members. Kim Tokar is the lead listing specialist. Joel Gruenke is the marketing manager, concentrating on marketing to obtain buyers for our listings to get them sold. Sharon DeBarnardo and John English work with our buyers. Sue Waters runs the office for our Team as the Operations Manager and works with our buyers. Kim’s greatest asset to the team is her love of negotiating. She holds the designation of “Master Certified Negotiation Expert (MCNE)", held by less than 1% of Realtors nationwide. Kim’s ability to negotiate ensures the most favorable terms for her clients and still keeps everyone happy. I would highly recommend Kim Tokar as both a listing agent and a buyer's agent. She had worked very aggressively on the purchase of our current home and the selling of our former home and has gone over the top for us an and to the many people I referrered to her. Prior to those transactions, she sold a new construction spec home that I built and also a building lot for me. All of my dealings with Kim were handled professionally and were very successful. Therefore, I will continue to use and refer her in the future. We thank Kim Tokar for getting us through this home sale as easily as possible. We appreciate her walking us through each step of the way. We are so happy we made the right decision putting the house in Kim's hands. Kim and her team did everything to make us comfortable with our decision.